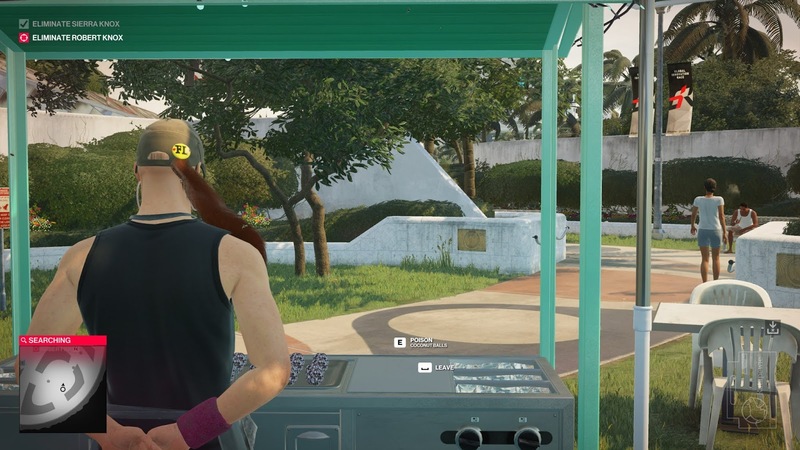 The easiest way to tell if someone has spent a lot of time playing Hitman is to ask them what their impression is of the franchise. Someone who has never played it before will usually think it's a very gritty, serious series where the main character is one of the most boring, dour people on the planet. But if a fan of the franchise was asked the same question, they would say it is one of the most hilarious IPs in the games industry, filled with the most delightfully macabre, black humor. 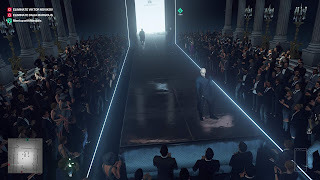 Whether it's intentional or not, this disconnect between the stern face of Agent 47, everyone's favorite murder boy, and the comedy which he is party to, sits at the seat of what makes Hitman such a gem in the eyes of those who play it. The genius of Hitman is that no matter how absurd the situation he's put in, no matter what is happening to those around him, Agent 47 will always look on with the same blank, completely humorless expression on his face. This visual can be amusing on it's own, in the right situation, but when all the various opportunities IO has afforded the player kick in, hilarity ensues. In other words, 47 is the ultimate straight man. There is never a moment when he loses his composure, which means that he can play off of absurd situations in a way that very few characters are capable. He's an extraordinarily boring character on his own, and that's largely the point. 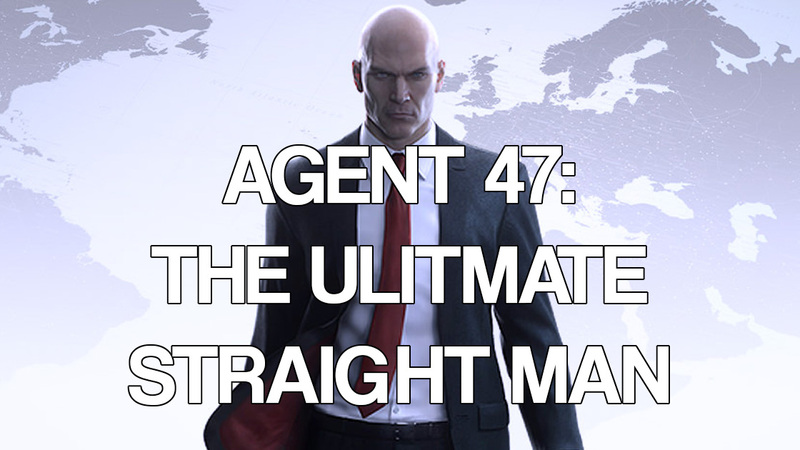 And yet, if Agent 47 is the straight man, who is the funny man is this comedy duo? Normally, one might think it is his handler, Diana Burnwood. While she's certainly got her own brand of humor, and isn’t shy about making quips at her partner's, or their target's, expense, she often plays it just as straight as the assassin she feeds intel to. 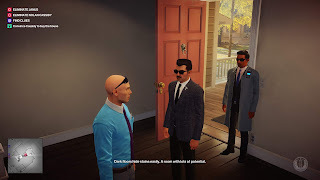 No, the funny man is someone else entirely: It is the player, in collaboration with the writing team at IO Interactive, that forms the second half of what would more accurately be described as Hitman's “comedy quartet”. This dynamic between the characters inside the game world, and us outside of it, is the most fundamental building block from which all of the series's best moments can be traced back to. Agent 47 (deadpan): "Do I look fabulous?" In hindsight, it should have been obvious from the very first episode of the 2016 game. 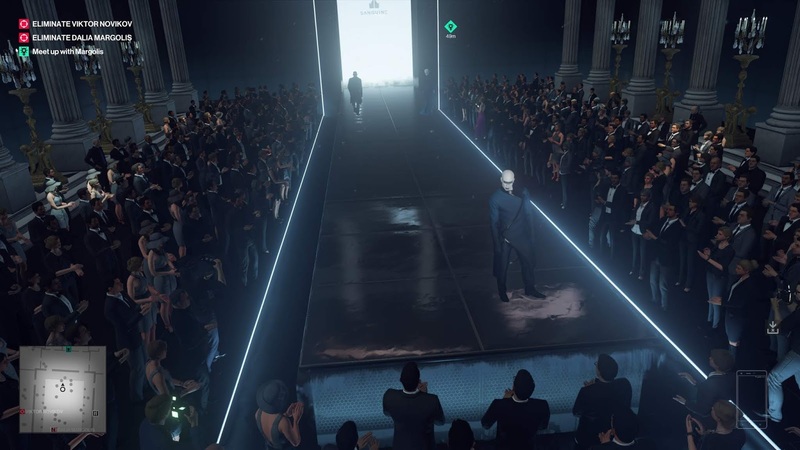 When I directed Agent 47 into the Paris Fashion Show, and found that he happened to have a very similar facial structure to the star of the show, a supermodel named Helmut Kruger, I knew the game was tempting me to guide my murder boy in ways I couldn't resist. Ever the consummate professional, 47 followed orders to a tee, all with that signature scowl emblazoned upon his visage. Yet, our performance had only just begun. 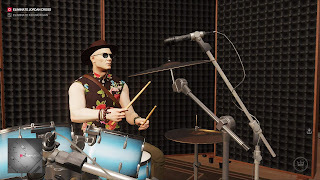 Dressed in Helmut's dashing garments, I commanded my Agent to rush to the dressing room and get his makeup on, so that no one doubted the veracity of his disguise. And then, together, we walked the runway. What sells this scene is not 47's swagger, nor his confidence and poise. While they contribute to the image, the humor comes from intensity of his perpetually steely gaze. It is clear that, to him, walking the fashion show is both as easy and uninteresting as watching paint dry. 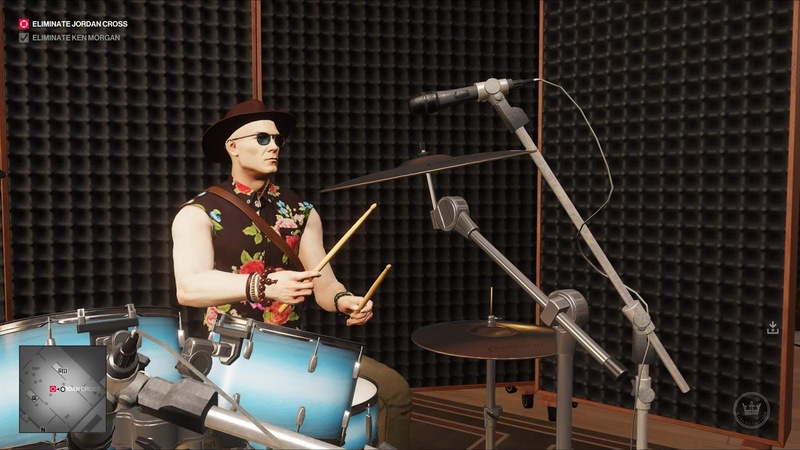 While the crowd is bedazzled by his performance, he's just putting in another day at the office, and couldn't possibly care any less. This is only one example. Whether it's a guitar solo, taking a selfie with a drug kingpin's wife, or selling a poisoned variant of “Florida Man's Coconut Balls”, 47 faces any situation, no matter how hilarious, with the same grim expression. His ability to remain straight faced at all times exacerbates the comedic value of these scenarios through the juxtaposition alone. 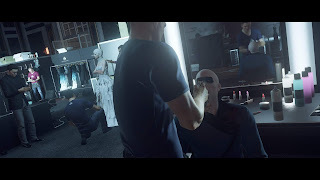 Because he would otherwise not be the type of person to place himself in absurd scenes, and the rest of Hitman is deliberately presented self-seriously to further heighten the humor of the in-game hijinks, this can only work in the context of a video game, with a player directing the action. Much is lost when transitioning it to a non-interactive medium, without a player directing the spectacle. 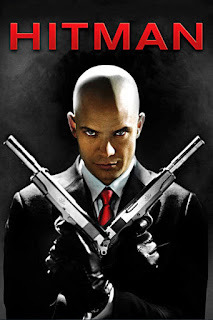 This becomes abundantly clear when watching something like the 2007 Hitman movie. Although the lore is altered and they stuck an unnecessary, awkward romance into the movie, that's not really the core of the problem. The problem is that the movie takes itself deadly seriously. 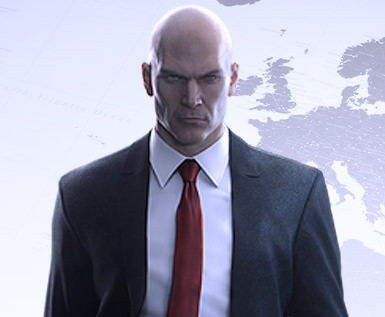 It sees Agent 47 dressing up in disguises and manipulating circumstances to get closer to his targets and says to itself, “Look at this badass professional assassin. No one can beat Awesome McCoolDude.” While that aspect is certainly part of the character, it doesn't capture his full essence. It's missing the absurdity that he needs to play around in for his otherwise dour persona to function. Other media, like the books and comics, have a very similar problem, as people like Super Bunny Hop points out in his video on one of them. Without the player to guide 47 into absurd situations, he loses out on opportunities to showcase what makes him special. He becomes another boring, middle-aged white protagonist. More than most characters, he needs the hand of a skilled (or even better, unskilled) player to work with and pilot him into situations where the dissonance between his eternal scowl and the zaniness of his actions combine to create truly memorable moments. It takes two to tango, and Agent 47 doesn't work as a solo act.